Our bbq friend and leader of the championship competitive bbq team ‘Son of Smoke’, Derrick, gifted me a bbq rub Honey Bacon BBQ by Meat Church BBQ. 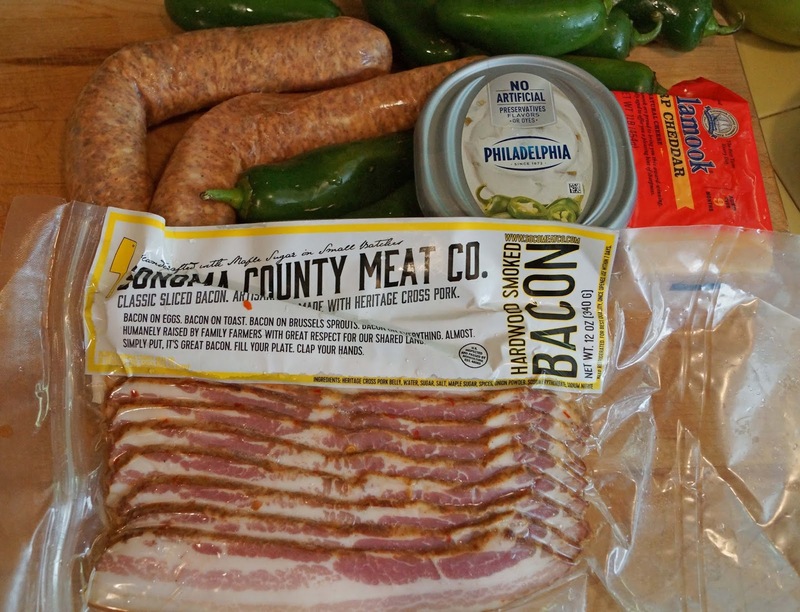 I had expressed interest in this rub because, you may have guessed already, I am a dupe for all things bacon. 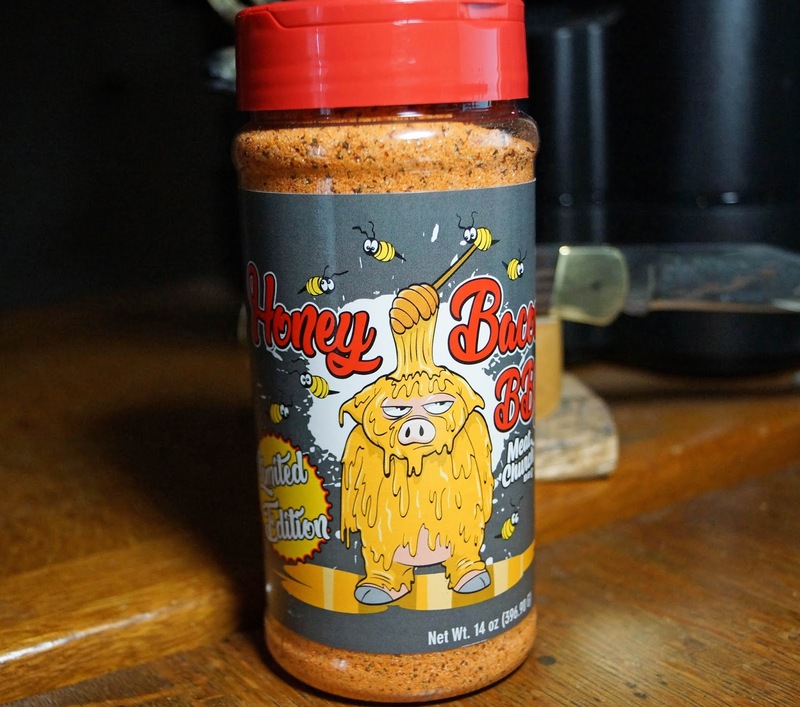 Meat Church bbq has a line-up of different seasoning rubs for the bbq enthusiast. They also are a sponsor for Derrick’s bbq team. This is going to be good. Grab a chair and let’s cook some bbq. I glanced at the ingredient list to find a specific addition that caught my fancy right away; honey powder. I have had this ingredient before and it works wonders by several different properties. It adds a sweetness that helps in the overall balance. 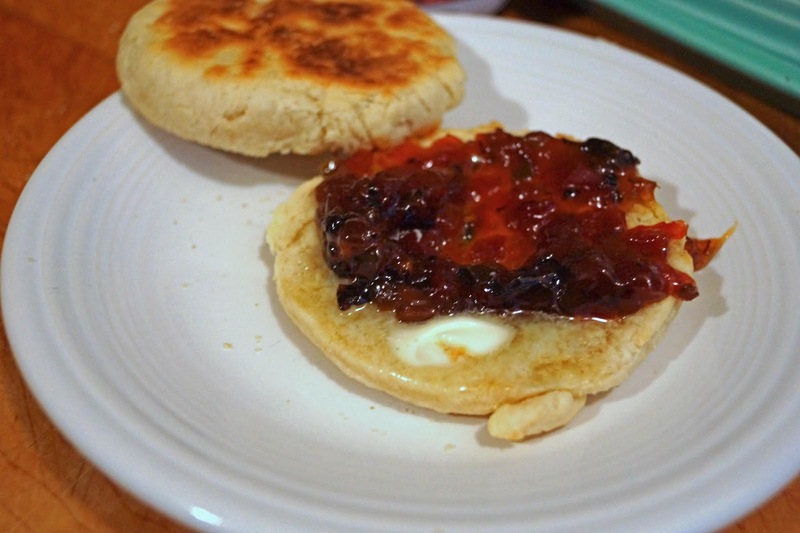 It can also help in the browning of the meat by helping with caramelization process. 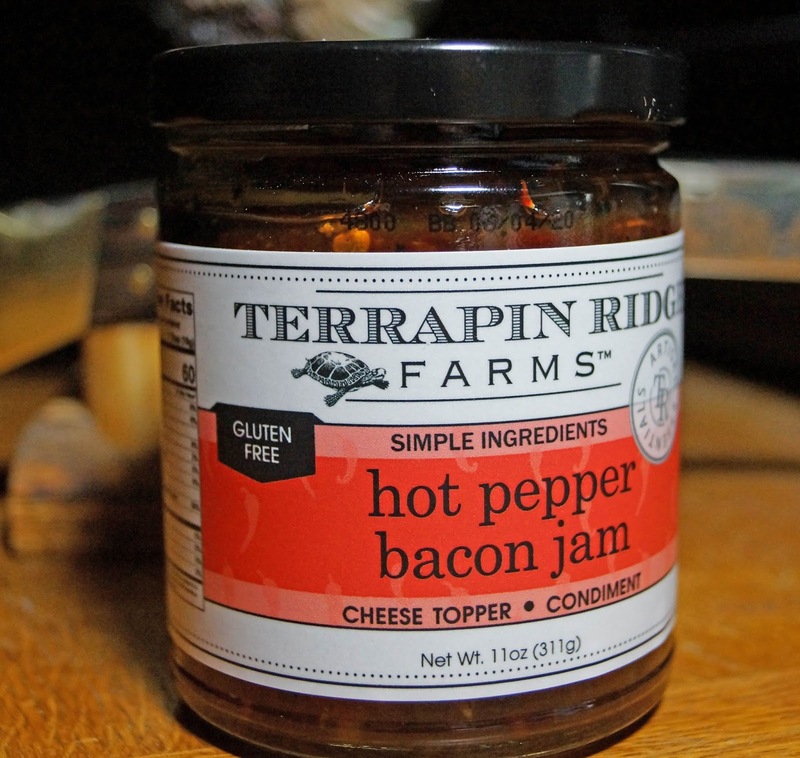 I did not see any bacon in this ingredient list but I did see natural flavoring. We have our fingers crossed. Our first application was on a pork shoulder roast. They were on sale at Wally World and who does not love pulled pork. We applied the rub overnight before cooking in our smoker. Nine hours later we had the yummiest looking roast. It smelled fantastic. The bark (outer layer of roast that has caramelized) was just like meat candy. It was not overly sweet but had a toothsome quality that was addicting. 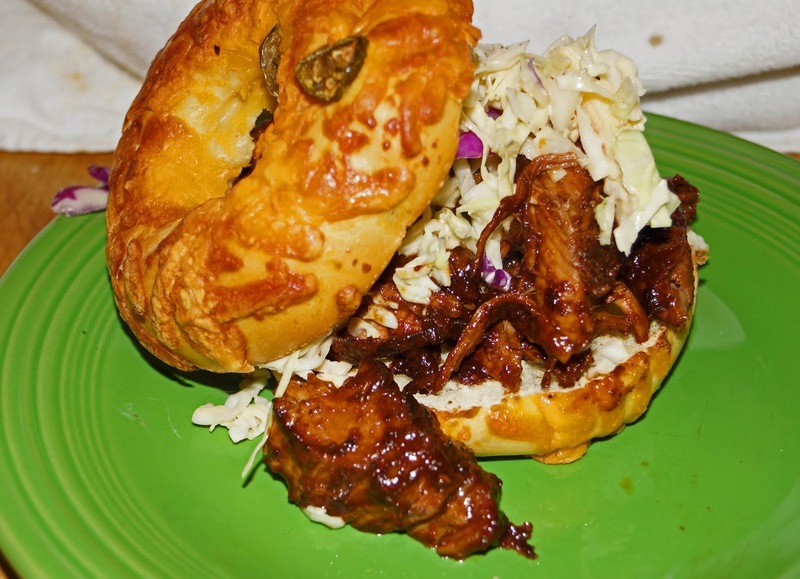 We took several tastes before we pulled the pork. 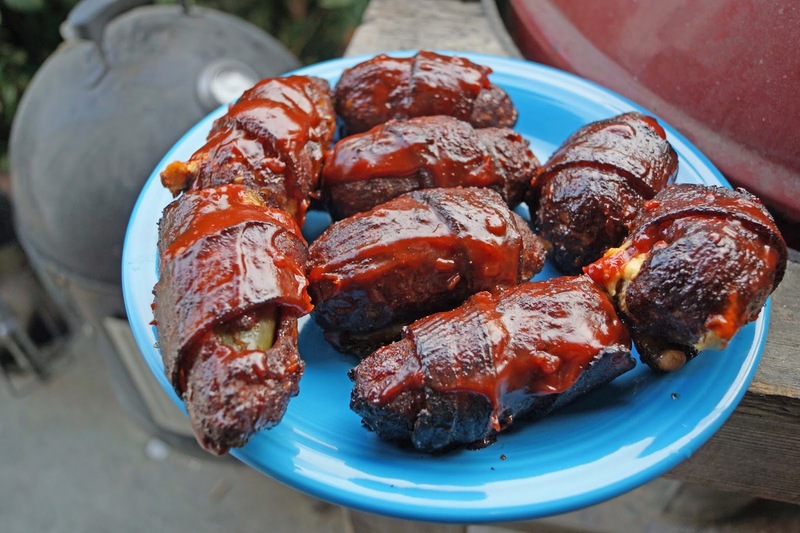 This rub did the job to create a very sweet savory combination. Did I taste bacon? Maybe if you consider a smoky component that mimics bacon. 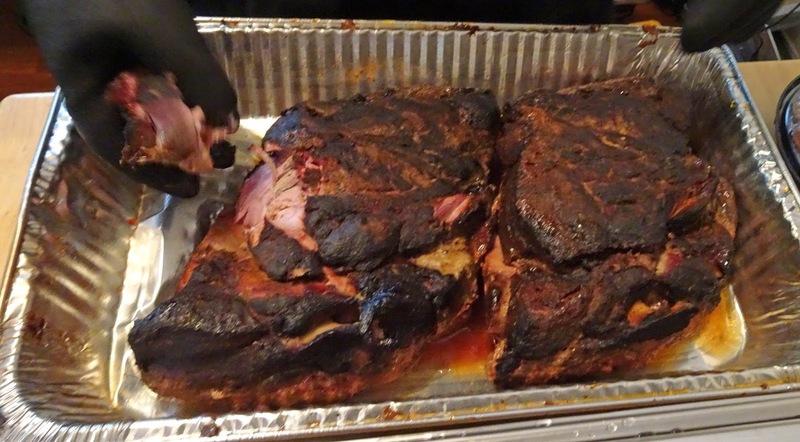 To be fair this had been in our smoker and I am not sure if it was from the rub or not. It was very flavorful and we were happy. 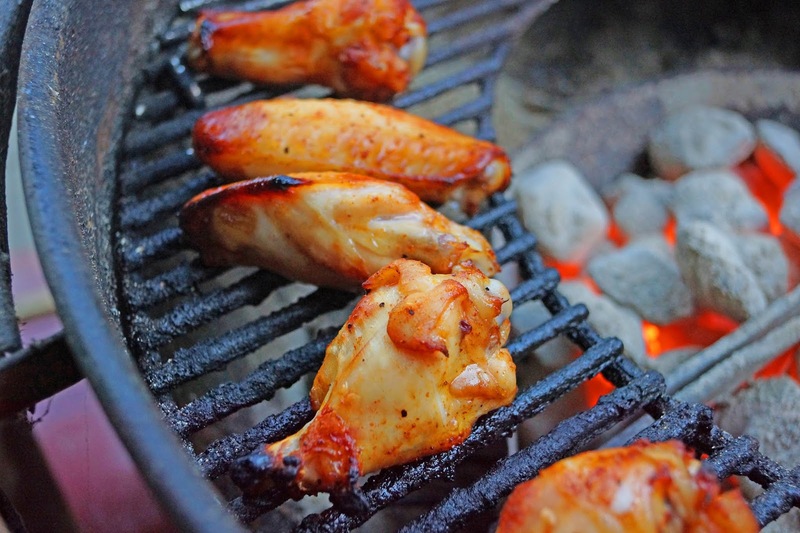 We tried this rub on some chicken wings. They were good. They were not great. They had a sweetness that was welcoming you to have another bite. This may be a personal preference but we like a little heat to add some pzazz to our wings. We could have easily added some other spices. Did this taste like bacon? Not really. Overall Honey Bacon BBQ by Meat Church is a great rub for pulled pork. It added a sweetness that created the most wonderful meat crust (bark). 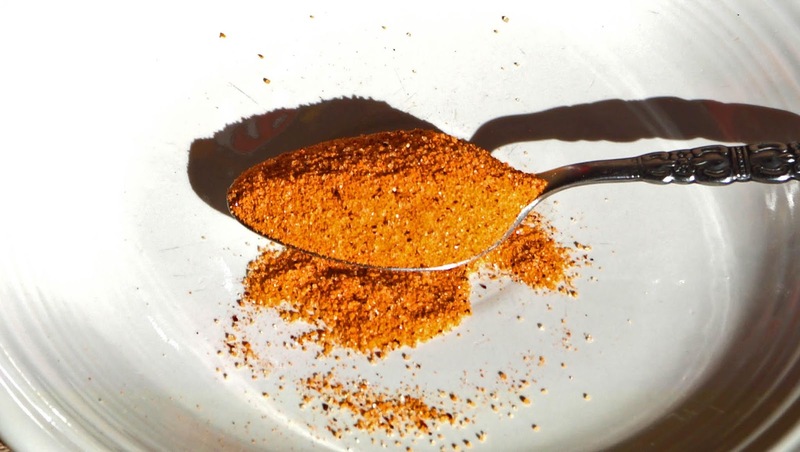 This rub used in a combination with some other spices has the potential for being a fantastic rub for chicken too. Did it taste like bacon? When I close my eyes and wish real hard I can always taste bacon. My sister, 'The President of Cookies" gifted me so many fun products this Christmas. 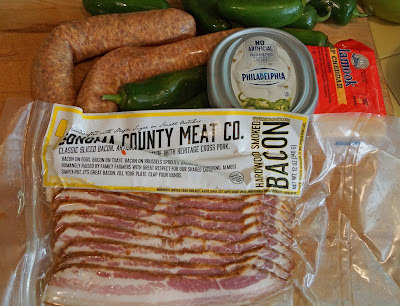 She gave me a huge stocking full of food products full of bacon, chile peppers and spices. She knows what I like. 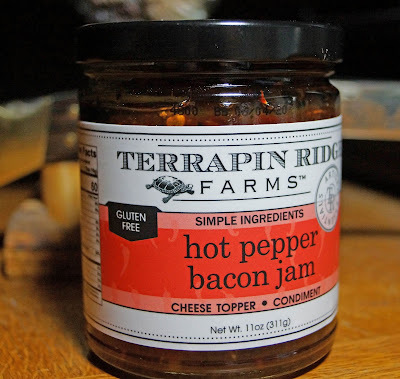 Today we will try a hot pepper bacon jam made by Terrapin Ridge Farms. I am usually disappointed in so called bacon products and a quick litmus test is to read the ingredient list. I want to love this jam so against my better judgement lets read the list. What a wonderful Christmas. Prime rib, Christmas cookies and a long stay on the couch was the extent of my day. 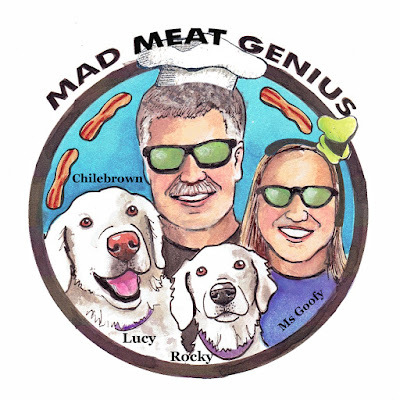 My sister, "The President of Cookies" gifted me an updated Mad Meat Genius insignia. 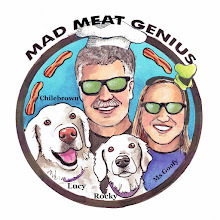 I present you with the new and improved Mad Meat Genius badge of courage. 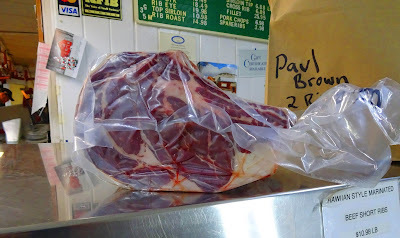 Twas the week before Christmas minus a couple of days that we picked up the all mighty aged USDA Prime rib roast. 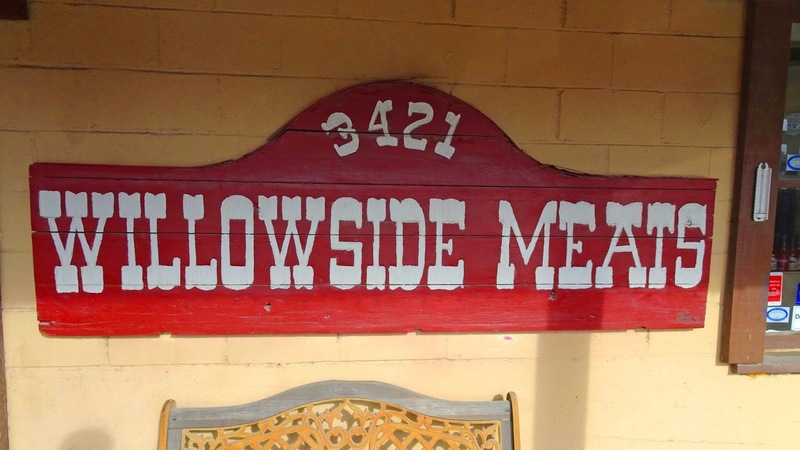 It has become a Chilebrown Christmas tradition to order a prime rib roast from Willowside Meats in Santa Rosa. We ordered this roast months ago in anticipation of this special Christmas day meal. This roast is hung and dry aged for almost three weeks to create the most beefy luscious meat we have ever had. Oh my!. 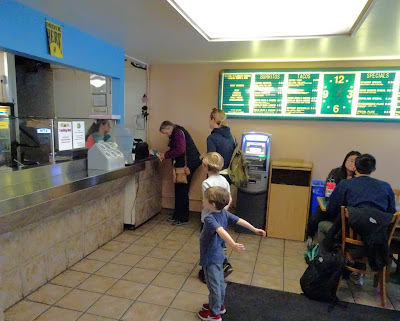 Inside Willowside was a beehive of activity. We were not the only ones picking up a roast. I gave them my name and sure enough a 'cut & tied' meat present was delivered to us. After paying the tab of course. 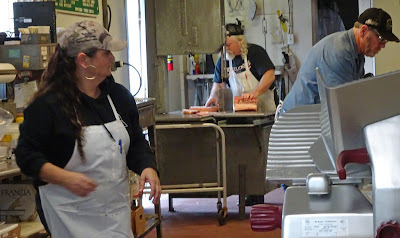 While we were there we also picked up some other meaty treats such as pork chops and ground beef. One does not live by prime rib alone. We are home now and I am counting the days and hours until the house smells of cooking prime rib roast. As a child, I could not sleep in anticipation of Santa. 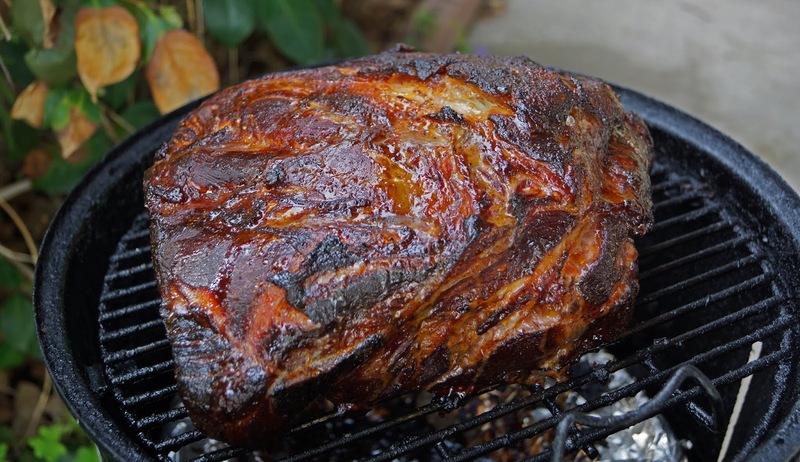 Now days I sleep well dreaming of aged USDA prime rib roast. Merry Christmas. 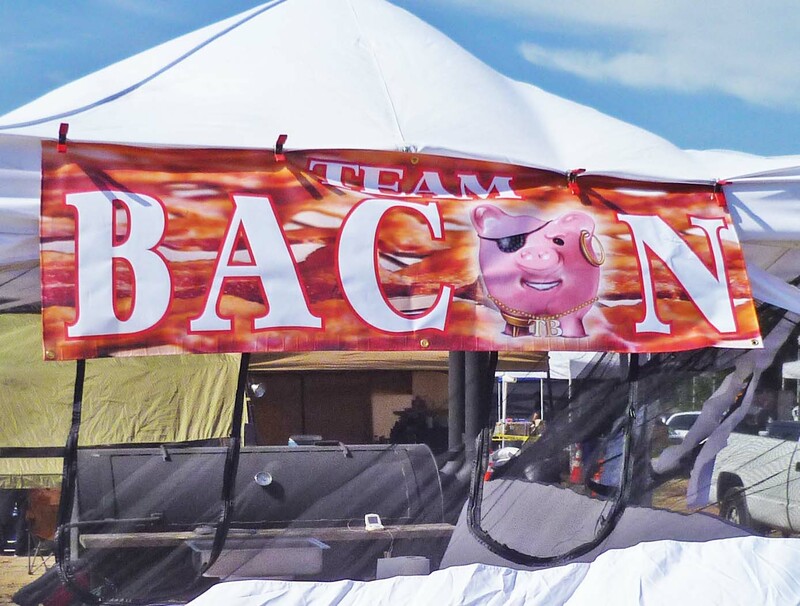 We are going to a housewarming party thrown by two of our barbeque friends who happen to compete on "Team Bacon". Rob & Sherri are our hosts and barbeque competitors. 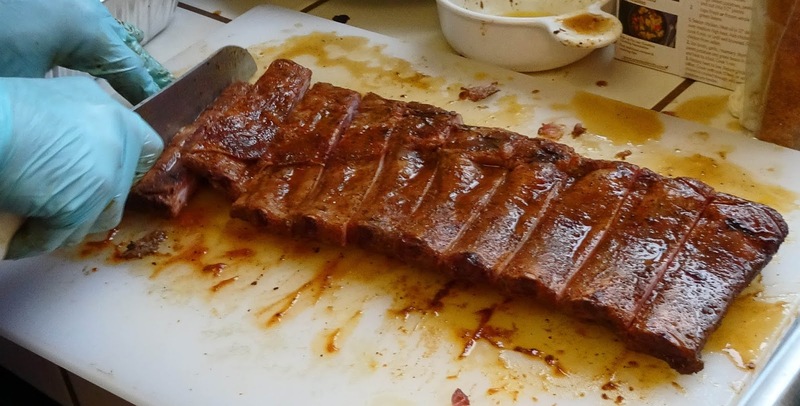 When you go to any party that is thrown by members of the barbeque community you should expect fantastic barbeque meats. 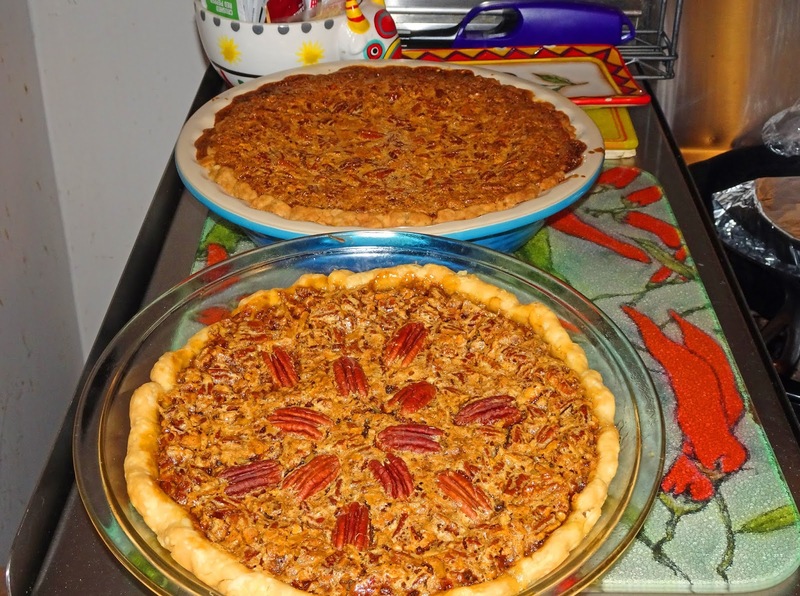 We were not disappointed and would like to share a couple of tasty images with you. It was a brisk winter day for an indoor/outdoor gathering but Rob & Sherri had a very nice patio with a gas flamed fire pit. You could also stand next to their new barbeque unit to stay warm and feast your eyes on some mammoth cheese stuffed potatoes. They had to be cut into smaller proportions because there was so much fantastic food available today. These were some tasty jalapeno poppers stuffed with cheddar cheese and sausage. They had just enough heat to say HELLO !. The four meats; chicken, ribs, pork shoulder and brisket were served today. Of course Rob & Sherri had to represent with their finest meat cooks because that is what competitors do. 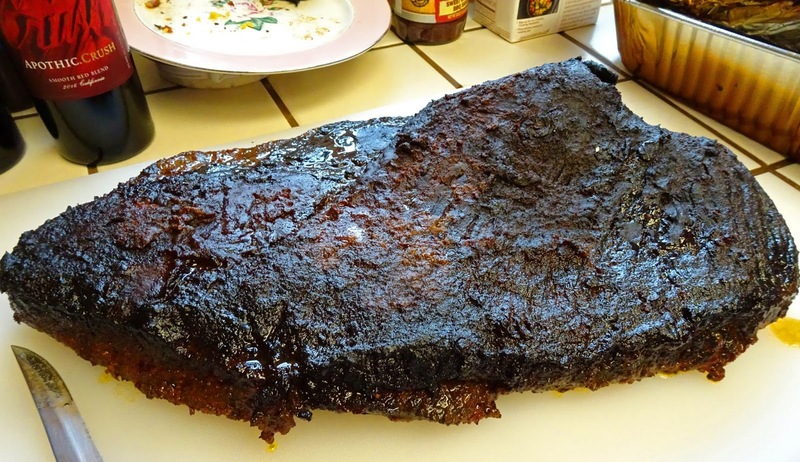 I especially liked the brisket today. 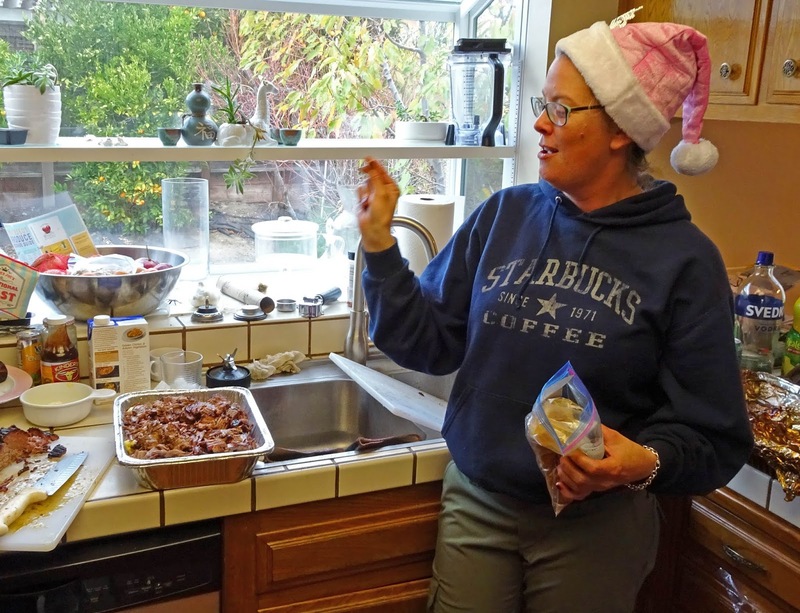 Competitive teams will not always reveal their cooking secrets but Sherri did demonstrate one of her seasoning techniques. I call this the 'Kissing Crane' seasoning method. 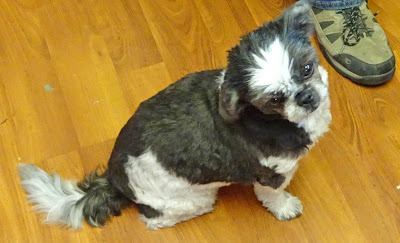 I hung out in the kitchen trying to absorb any pointers or secrets. I was joined by this little furry character that knew plenty of wayward trimmings would come his way. 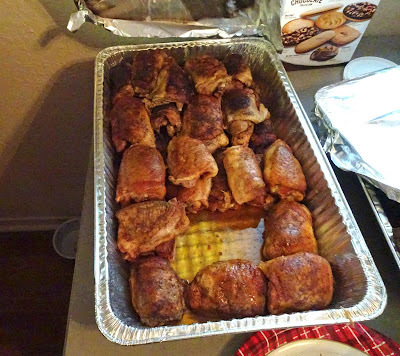 Chicken and ribs made this a complete day. What a great housewarming party. This Mad Meat Genius definitely had to loosen his belt after an afternoon of eating championship bbq. It was a great day to hang out with friend and welcome Rob & Sherri to their new home. Tis the season for lemon cheesecake, Fa-la-la-la-la, la-la-la-la. 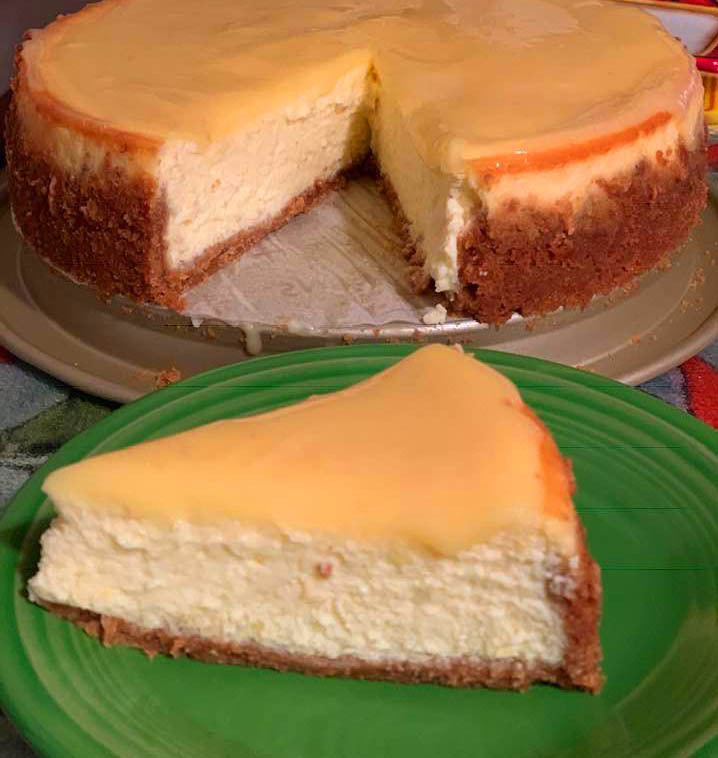 We here at the Mad Meat Genius labs have been busy with the Holidays but Ms. Goofy found time to bake the most luscious lemon cheesecake. I am one lucky S.O.B. 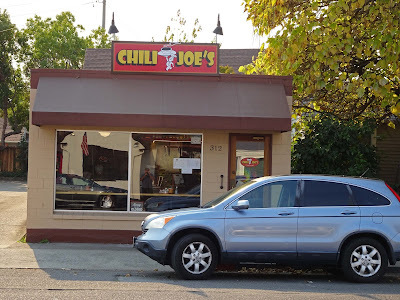 We start out this story with a hearty bowl of ‘Thanks’ to our fellow bbq Judge Aaron for telling us about Chili Joe’s in Petaluma California. Chili Joe’s is a small six table restaurant that specializes in house made chili. Ms. Goofy and I are certified chili judges but never actually get the opportunity to judge sanctioned contests. We love a bowl of red and were excited to give this establishment a try. They have been open less than a year and if it was not for the heads up by Aaron we would have not discovered this place. Parking Karma was in full force evident by the Racing Honda parked right in front. This may be a good omen. Inside is a very small xix table room with a small counter to place your order. A red flag immediately flew with little post up notes proclaiming the chili con-carne was sold out. We asked the clerk why and she replied; it is popular and certain ingredients are not local and they were waiting on deliveries. There were plenty of other choices on the menu and placed our order. Luckily a table broke right as we placed our order. Our meal was delivered promptly. 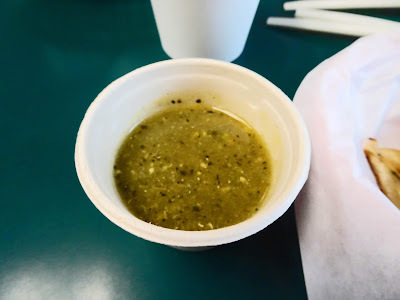 Even though the signature chili’s were not available, the house and “Green-Go Chili Verde was available. Green-Go Chili Verde; Succulent chili-grind pork shoulder, skillet seared and simmered with poblano & Hatch Chile peppers, tomatillo, pinto beans onion, garlic, fresh herbs and roasted spices. 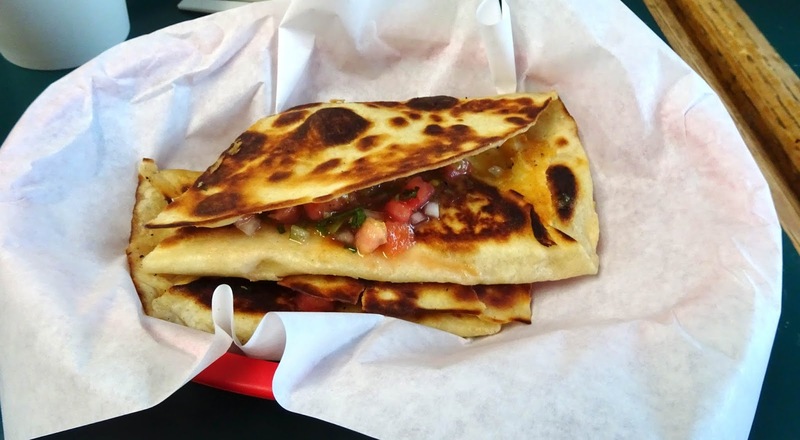 Topped with Petaluma Creamery jack, sweet white & green onions, crema fresca, fresh jalapeno and cilantro. This was a bowl of green chili to die for. It was mild but so flavorful with green chili love. 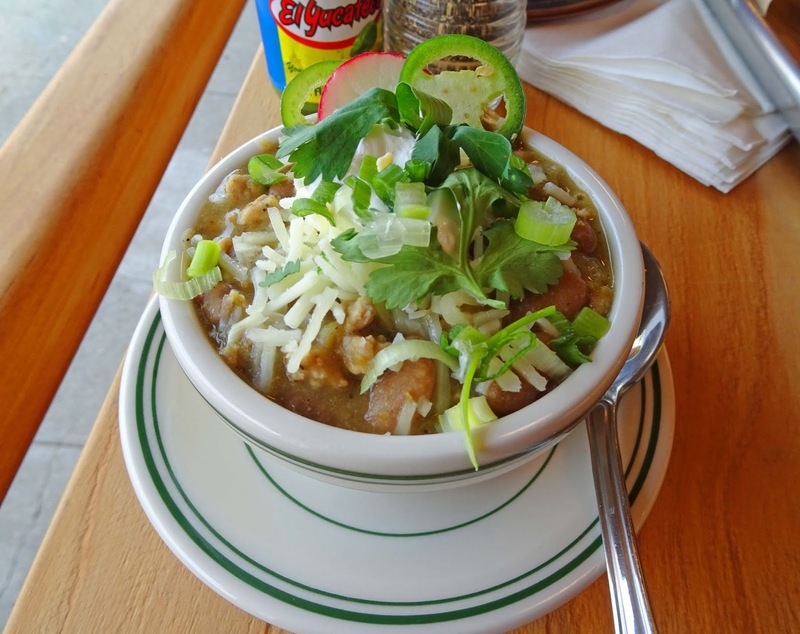 The balance of spice and fresh green chili flavor was everything that makes chili so addicting. I may order a large bowl instead of a cup next time. 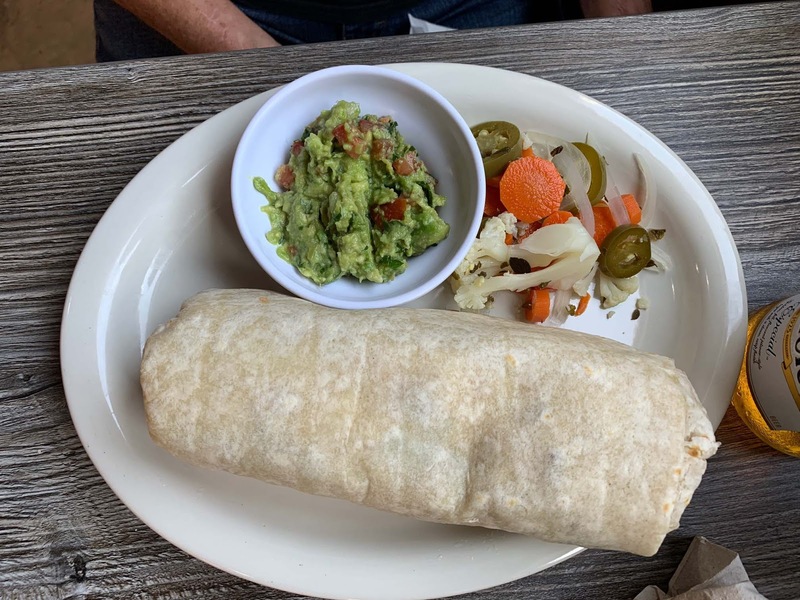 The menu says a bowl comes with organic corn street tortillas. Ms. Goofy had Frito pie with the “La Street Chili’ that was very good because she cleaned her plate not leaving any Frito chips for me to finish. This too was a mild chili with beans that we found out later can be customized with added heat. In fact, I quote; “Extra spice and/or extra red chili-grease on request” (Chili Grease?). 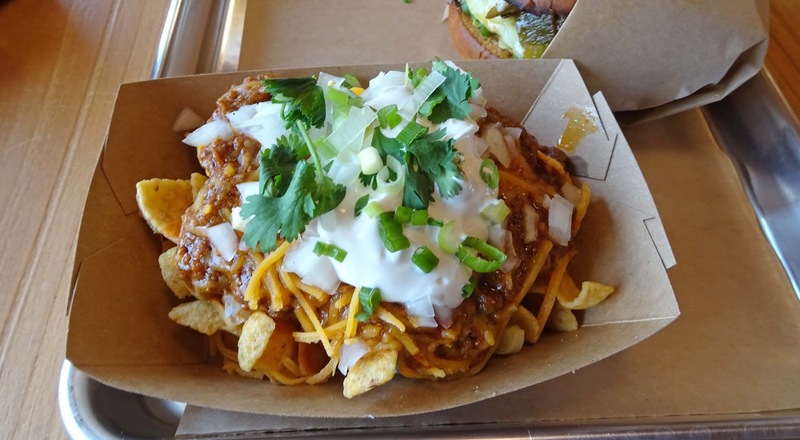 The combination of heartwarming chili with salty Frito chips cannot be beat. I had a “New Mexijoe” burger; Char-broiled beef patty with flame roasted Hatch and poblano peppers Petaluma Creamery jack cheese , flame charred sweet white onion slab and green onion-garlic mayoli on a toasted potato bun. This was a juicy burger that satisfied. 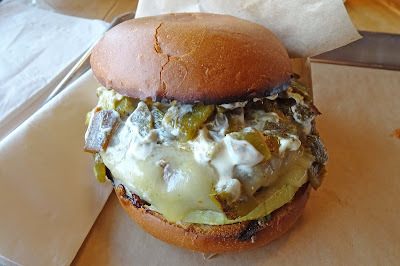 The roasted hatch and poblano was mild addition that added texture and green pepper goodness. The cheese was ooey and gooey to make this a very good menu choice. I do wish the Hatch pepper had a little more heat. Ms.Goofy had a cheeseburger and was not as enamored as myself. A side of CJ’s cornbread had to be ordered. This was called Santa Fe style with sliced jalapenos and red peppers. This came with orange/honey butter studded with sweet peppers. 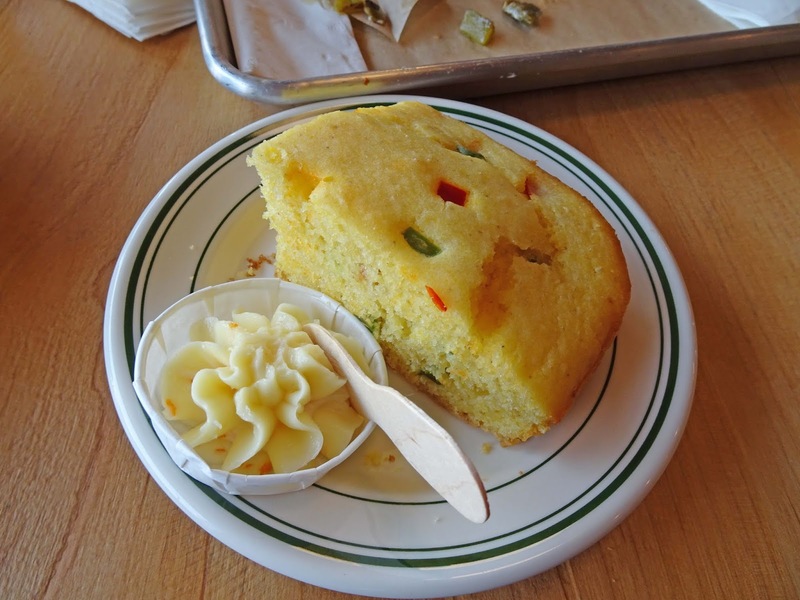 How can you resist warm cornbread and sweet flavored butter. I really enjoyed it. We definitely have a virtual reservation to return to try the signature chili’s. The menu also has other chili influenced items to be explored Chili Joe’s is a small establishment and I am afraid this could be a detriment with possibly becoming too popular.. Hopefully they can work out the ingredient supply situation because the chili we tried was fantastic. 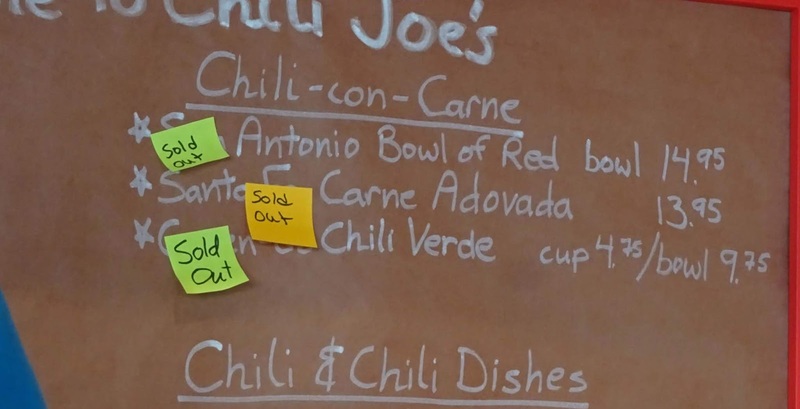 One can only imagine how great the signature chili’s could be. We love a good ‘Bowl of Red” (or green) and look forward to our return. Thankyou Aaron. Those of you that recognize this mounted skyward cow will know where we are. We, actually Ms. Goofy is in Lockeford California at Lockeford Meats. Lockeford Meats is famous for their delicious and reasonably priced sausage. This fact is reinforced by the lines to get in the store on the weekends. Ms. Goofy was attending a dog show near by and had to stop by, and I am glad she did. Ms. Goofy loves the "Dakota Sausage' evident by this pile of sausage tubes. 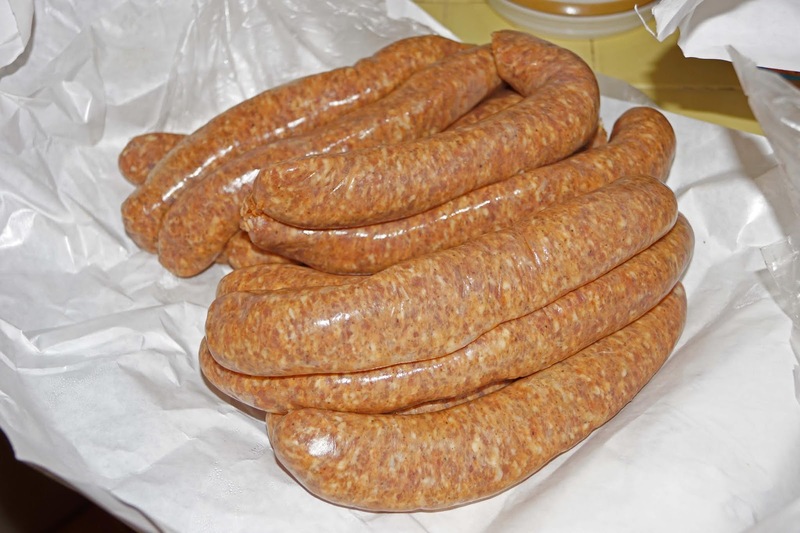 It is a mild sausage which is a combination of pork and turkey. It is one of my favorites too. 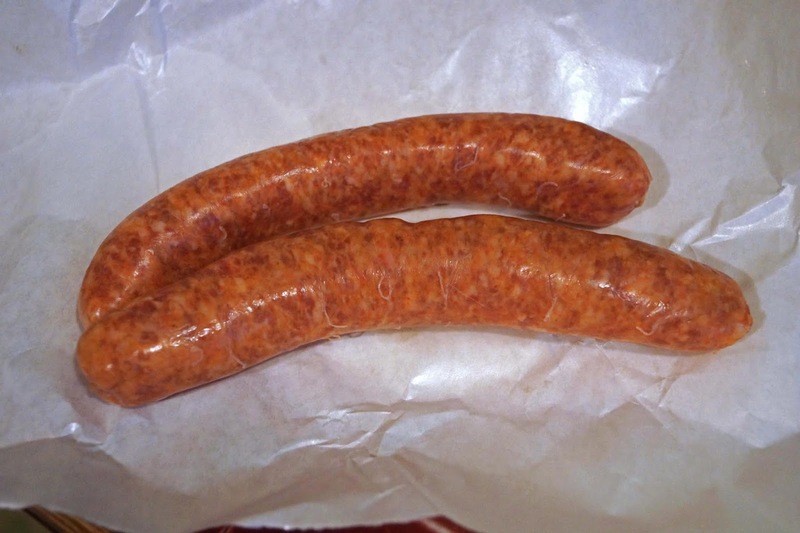 This sausage is mild enough to be enjoyed in multiple dishes. 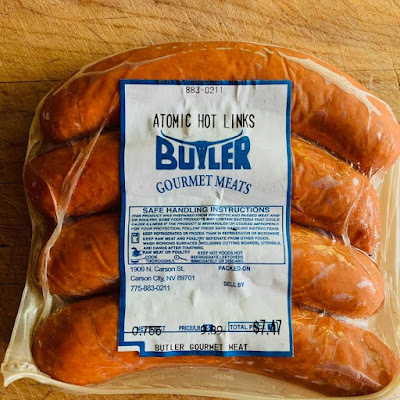 She also knows what I like and bought several sausages with the title Bacon Sausage. 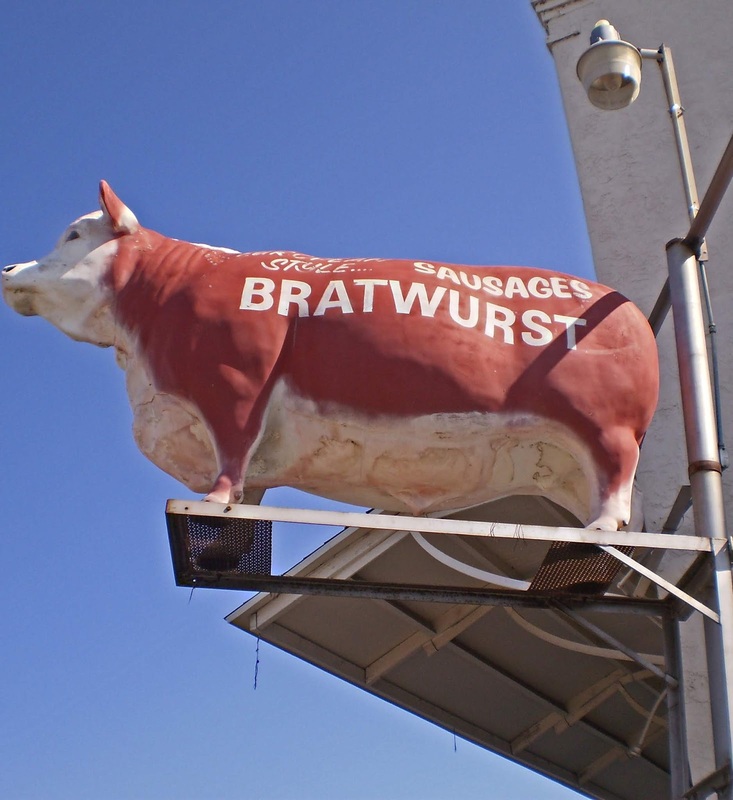 This sausage was a little darker in color than the Dakota. We fried the sausage in a cast iron pan until browned and internal temperature reached 150 degrees. It was juicy and tender when bit into. It had a smoky flavor as bacon would. I believe I noticed a sort of breakfast sausage type of spice. It too was mellow and mild like the Dakota. Overall did it taste like bacon? I would answer; sort of. What it was, was a very yummy and delicious sausage that I would not hesitate buying again. Meanwhile we have a few more Dakota Sausages to consume. We found Palenque Grill quit by accident. We were actually on our way to a different restaurant and it was closed. A quick search on our fancy smart phone tether devices and Palenque popped up. Palenque Grill has only been open a couple of months and it was time to give them a try. Parking Karma was turned off today because they do have off street parking in their lot. We came in at the noon hour with a practically an empty house. Be prepared to practice your high school Spanish because the menus are not in English. Palenque Grill is located in San Pablo which has a predominately Hispanic population. Our waitress spoke English perfectly fine but apologized for her lack of confidence in speaking our language. This was not a problem and we proceeded. Freshly fried tortilla chips with salsa with a oh so very slight pepper bite was brought to the table to whet our appetite for the meal to come. 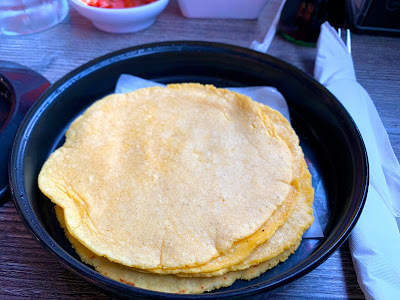 Ms. Goofy informed me they were pressing fresh tortillas in the kitchen for our meal. 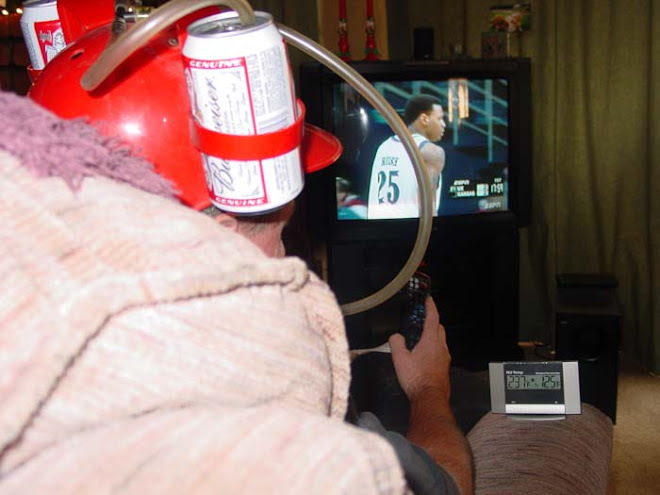 This will add bonus points immediately to our critique. Our meal was delivered promptly. 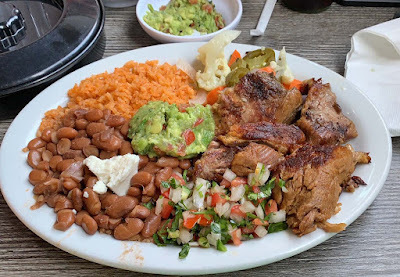 The carnitas plate was fit for a food magazine photo cover. It was stunning. 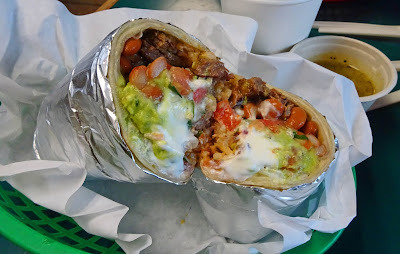 The salsa were fresh, The carnitas were crisp on the outside with fried goodness and soft on the inside with pork love. Ms. Goofy had a burrito made with the same carnitas and really liked it too. The beans and rice were okay but the carnitas with fresh house made tortillas and salsa just made me plain swoon with Mexican delight. I have to mention an appetizer we ordered called 'Cowboy's Ball" They were fried dough with a center of jalapeno, cream cheese, fresh corn and bacon served with sour cream, spicy ketchup and french fries. 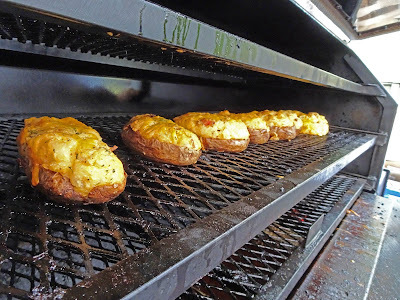 These were hot off the fryer and were delicious. 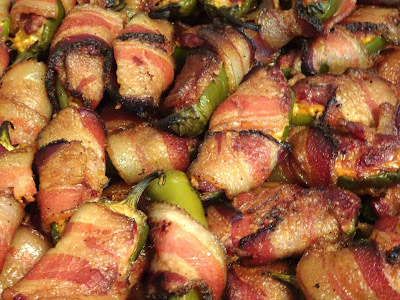 To be honest, we could not tell there was any bacon in them. They still were addicting with the cream cheese, jalapeno and fresh corn. We felt very lucky today to find Palenque Grill. 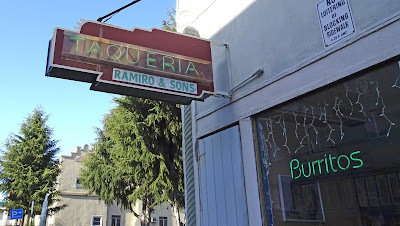 This restaurant definitly deserves a return trip to explore other menu options. 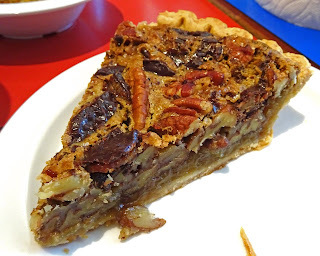 I was too full to experience the Jamaican Cheesecake listed on the menu and will report back later.